Here at Walsh Manufacturing we are all about the customer. We provide turn-key solutions for all of your parts washing and metal fabrication needs. 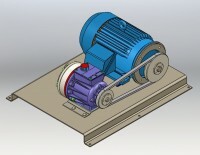 We have a great team of engineers that will work with you to design the best possible system for your needs. Once we have your system designed we take it out to our shop where it will be entirely fabricated, assembled, tested, and painted. The job is not finished until everything is completed and you, the customer, are satisfied. 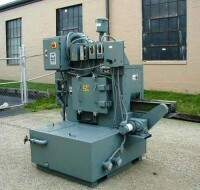 Every parts washer is custom built and designed around your part and its specific cleaning requirements. 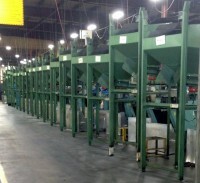 Our durable, high-quality systems are ergonomically designed and meet or exceed all environmental standards. We place a large emphasis on the efficiency and simplicity of our designs, eliminating the need for continuous maintenance. Our team of experienced engineers and quality craftsmen can design and fabricate to your requirements, both on time and within your budget. We work with all alloys and metals to produce engineered products, machined components and finished assemblies, including electrical controls and duplicate parts. Often times, older equipment can be rebuilt at a fraction of the cost of new equipment. From a simple face-lift to a complete redesign/rebuild, we are equipped to handle all facets of machine rebuilding, including both mechanical and electrical components. Our staff of automation experts will work with you to develop a new automated system or completely upgrade your existing system, from design to production. A Walsh automated system gives you better quality control as well as lower operating costs during your manufacturing and assembly processes. Our Engineering team works with you to solve your problems. We don’t just sit behind a desk all day, we go out to see what your problem is first hand and work with you to find the most effective and cost efficient solution. With years of experience in Solid Works and Auto-Cad designing machines, parts washing systems, material handling systems and automation equipment there is no problem we can’t solve. If you are looking for a turnkey solution to your problem, then Walsh Manufacturing is your answer. We can provide waterjet cutting services for a wide range of materials such as hardened tool steel, aluminum and titanium; exotics including carbon fiber, ceramic, nickel alloys and composites; or architectural materials such as marble, granite, glass, tile and stone.